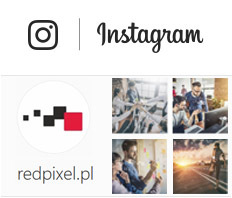 REDPIXEL is dealing with taking photos for image banks. They are stock agencies, where photos/videos/illustrations are placed. Long-term experience allowed to create portfolio consisting of few thousand images. We cooperate only with the world’s largest agencies, such as: Shutterstock, Fotolia, Istockphoto, 123RF, Dreamstime, Bigstockphoto etc. The whole process starts with taking photos and every theme may be an inspiration for that. However clarifying theme and adding human element will increase interest of buyers. Well-chosen theme is a chance of getting a large number of potential clients. All photos go through special process (retouch). Beside basic correction, often there is a need of removing any trademarks, logos and identifying elements. It is time consuming, but necessary to make photo available in the image bank. Next step is giving appropriate title, description and keywords of photos, everything in English. It is a very important process, because it affects the positioning in the search results. Portfolio of few thousand photos and images is an effect of many years of our work and professional experience. Diversity of photo’s topics and their high-quality make photos reach to a wide group of clients. Next step is transferring photos to image banks. Here, only the world’s biggest agencies count. Any such agency makes selection of received photos. On this stage also a suitable thematic categories are added. All photos are available in image banks, such as: Fotolia, Shutterstock, Istockphoto etc. Depending on agency, galleries can be different, which is caused by selection of accepted photos. Images/videos/illustrations are licensed on the Royalty Free (RF) basis. On my photos, there is often a „human factor”. I am trying to capture the certain actions, scenes and emotions. Therefore database of male and female models is also important for me. Photo sessions are commercial (the price is charged), the price is fixed individually. Before session, two agreements need to be signed: contract for work and Model Release contract for stock agency’s needs. If you are interested, feel invited to cooperate. All you have to do is fill an on-line application form available on the website. Of course presenting yourself in photographs (which can be sent as an attachment) or giving link to your portfolio (e.g. on Maxmodels.pl) is necessary. IMPORTANT: due to specific nature of the session, I will contact with selected people only. I agree to the use of telecommunications terminal equipment, of which I am a user, for the purposes of direct marketing conducted by REDPIXEL Artur Marciniec in accordance with the Act of 16 July 2004 on Telecommunications Law.